Dave Stevenson is Managing Director responsible for identifying opportunities in all areas of digital health, with a particular focus on Provider & Patient Engagement. Mr. Stevenson also manages the GHI portfolio and operations. Mr. Stevenson brings more than 20 years of healthcare strategy and operations expertise to the GHI team. 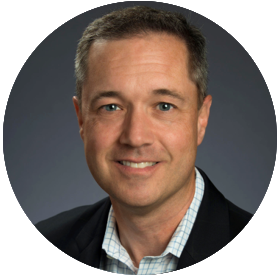 Prior to MSD GHI, Mr. Stevenson was AVP of U.S. Strategy at Sanofi-Aventis responsible for development of the company’s new commercial models. Before Sanofi-Aventis, Mr. Stevenson was with Ernst & Young/Capgemini as a growth strategy consultant across the healthcare industry. Mr. Stevenson started his career with Sandoz/Novartis where he built their first clinical trial management system. Mr. Stevenson holds a MBA from Vanderbilt University and a B.A. from Washington University.